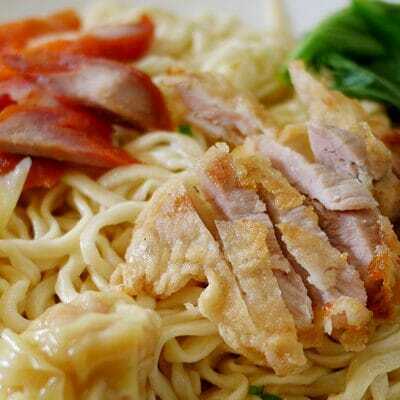 Pan mee or mee hoon kueh when done right, is comfort food for me. There’s something satisfying about this humble bowl of handmade noodles, served with sweet ikan bilis broth and pork slivers. 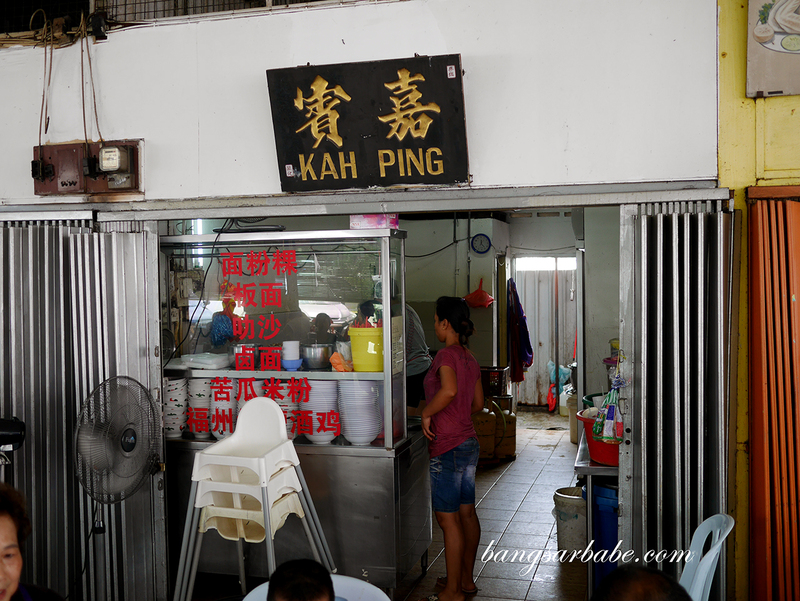 My teammate told me about the pan mee at Kah Ping in Jalan Gelugor – said to be the best pan mee Klang has to offer. 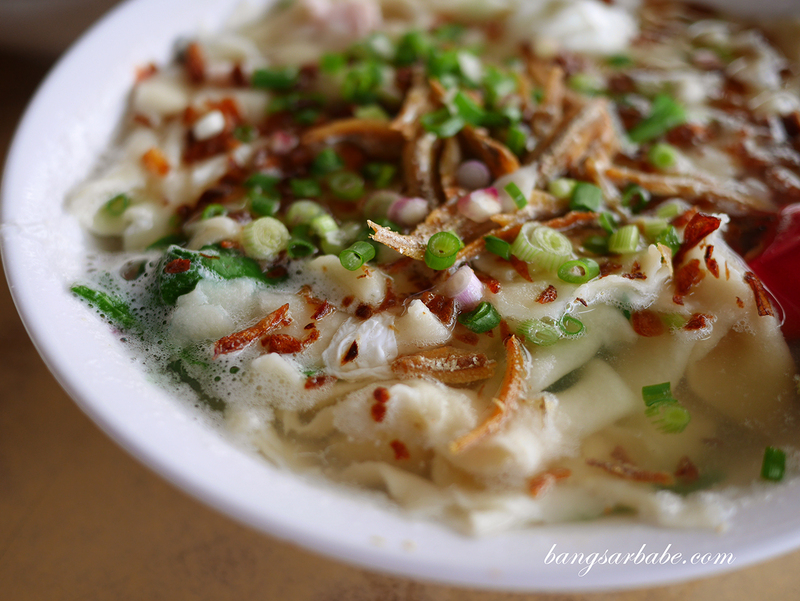 Coming from someone who’s willing to drive from Puchong to Klang for her noodle fix, I had to try this for myself. 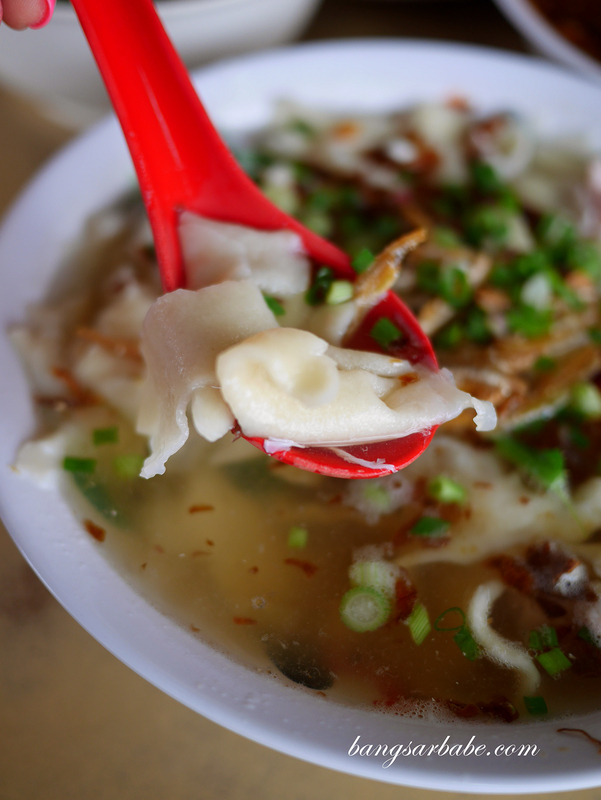 She sent me the location map a couple of weeks back so Jien and I hopped into the car and relied on waze to get us to that bowl of pan mee in the fastest time. The food court can get quite warm given our weather so do dress accordingly if you’re planning to dine there. 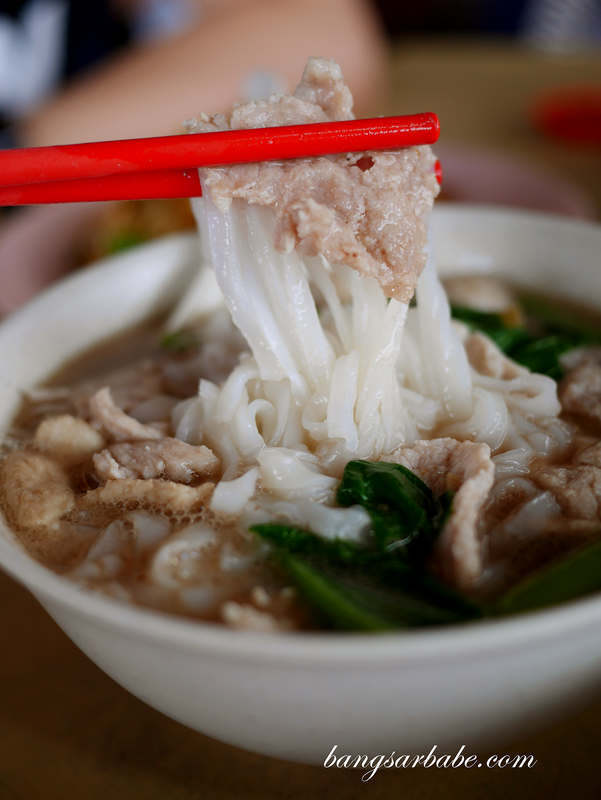 Pinched noodles are popular, and Kah Ping’s version (RM 6 – large, add egg – RM1) is thin and smooth with a slightly chewy texture. 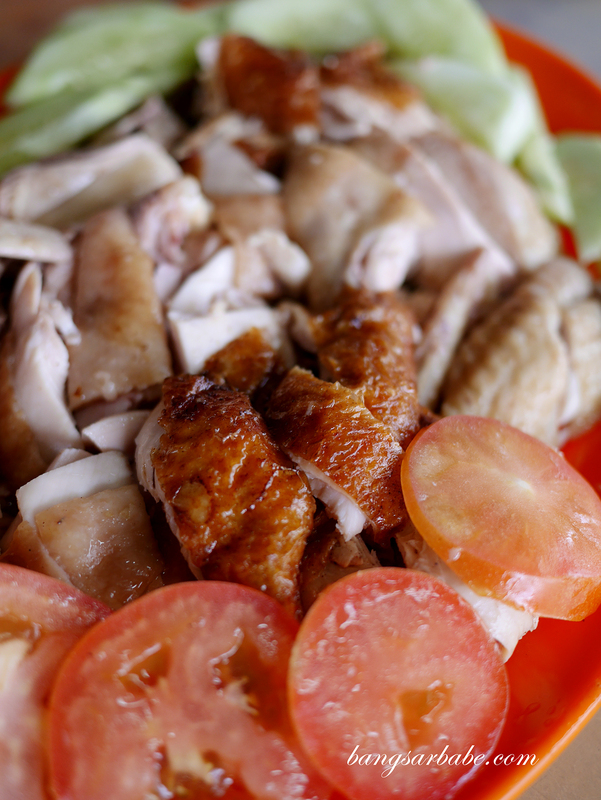 This comes in clear soup, made anchovies and prawns, and served with pork slices, fried anchovies and vegetables. 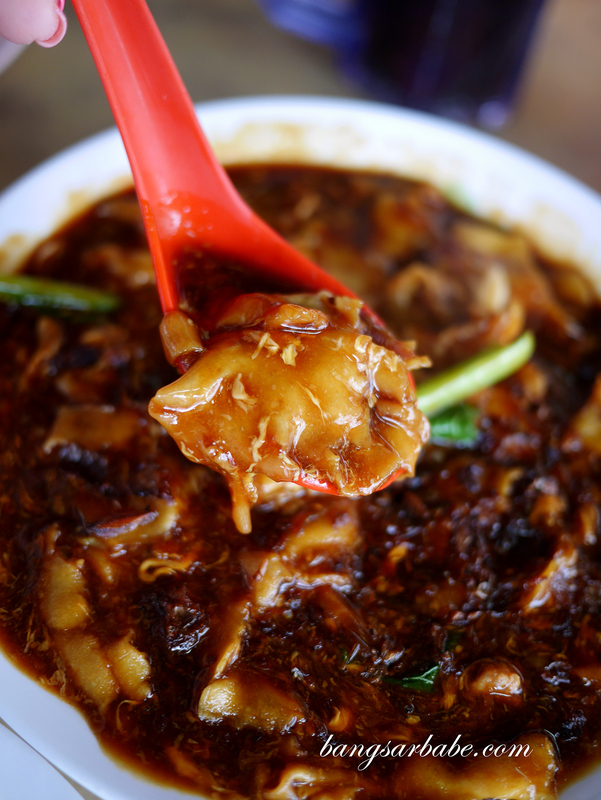 They don’t serve sambal chilli with the pan mee – you only get chopped birds eye chilli with soy sauce, which I didn’t require as the broth was tasty enough. 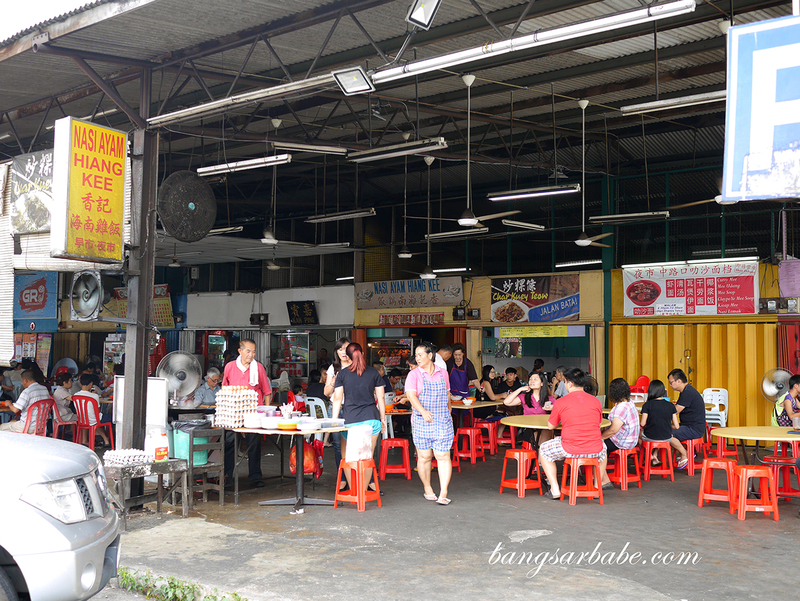 Jien and I also tried Kah Ping’s loh pan mee (RM6 – large) but we didn’t find it impressive. The broth was quite flat tasting so you’ll need to season it with a bit of soy sauce and vinegar. 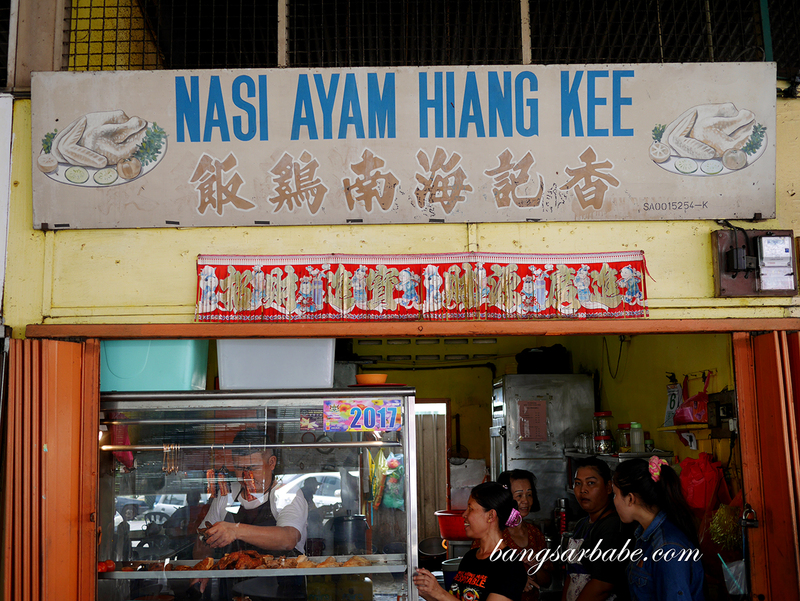 Apart from Kah Ping’s pan mee, we also tried the steamed and roasted chicken from the stall next door – Nasi Ayam Hiang Kee. 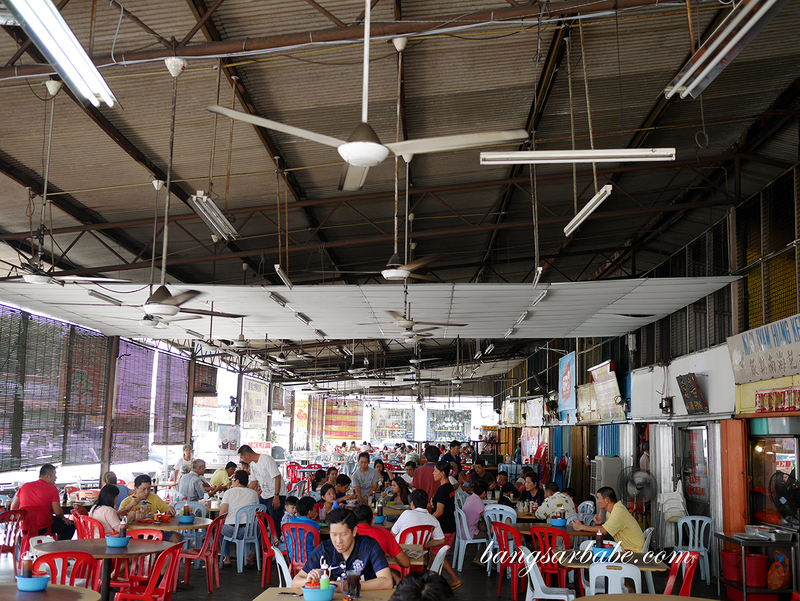 While they have a steady stream of customers, I found the chicken (RM23 – whole) to be average. 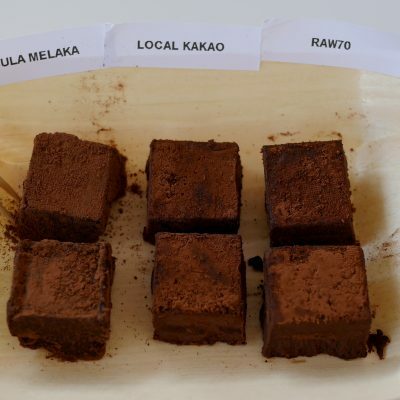 Not something I would brave traffic and distance for but it does make a good accompaniment to the pan mee. 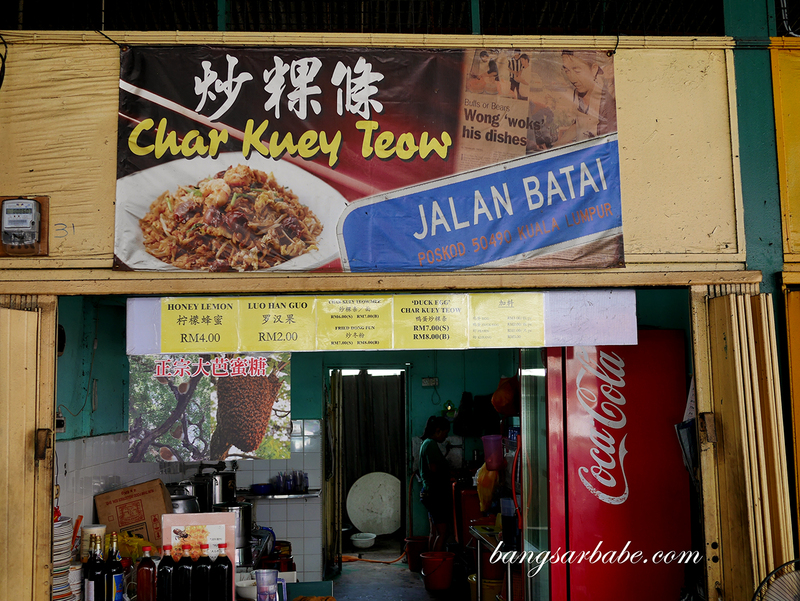 The famous Jalan Batai Char Kuay Teow is also located in this food court, just two stalls from Kah Ping. 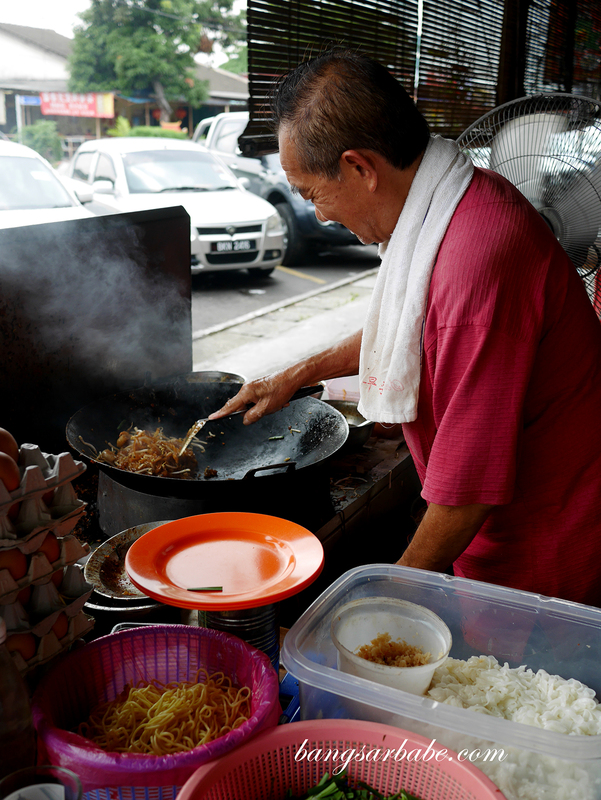 I was lucky to have Uncle Eng himself fry the char kuay teow for me and I opted for the duck egg version (RM7 – small, RM8 – large). 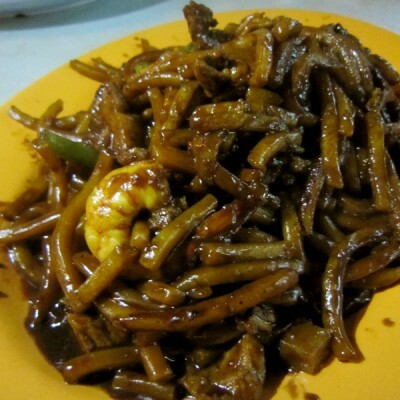 According to Uncle Eng’s son in-law, his daughter does most of the frying but Uncle Eng pops in occasionally as frying char kuay teow is his form of “exercise”. 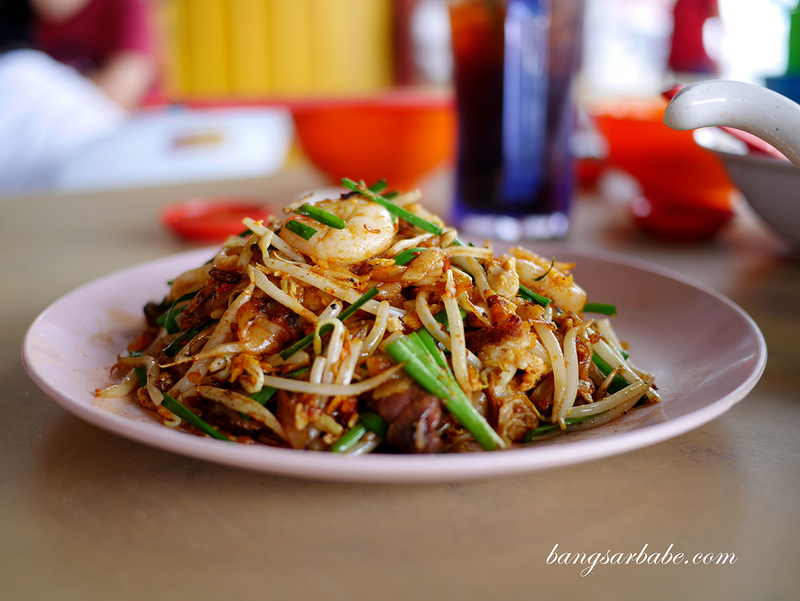 I like the char kuay teow better compared to when they were in Damansara Heights. 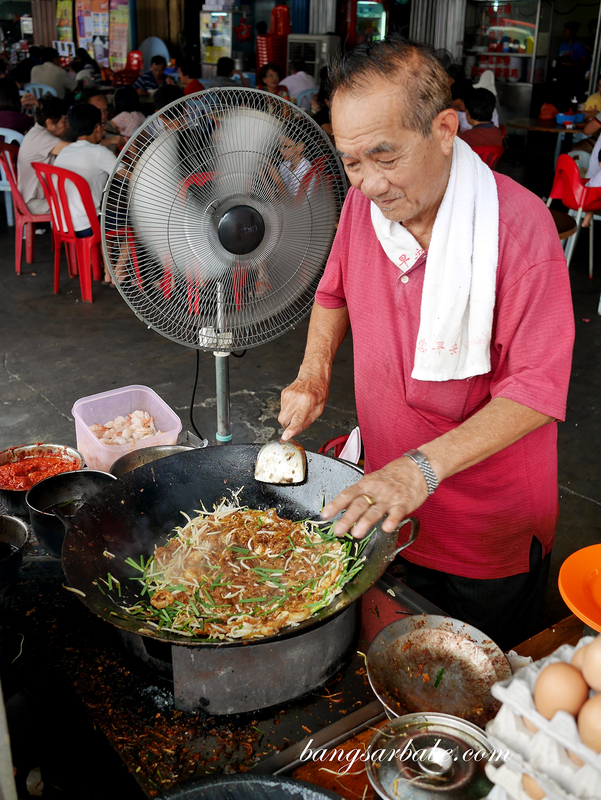 It has more wok hei and Uncle Eng takes his time in frying, making sure each strand of kuay teow is coated with seasoning. 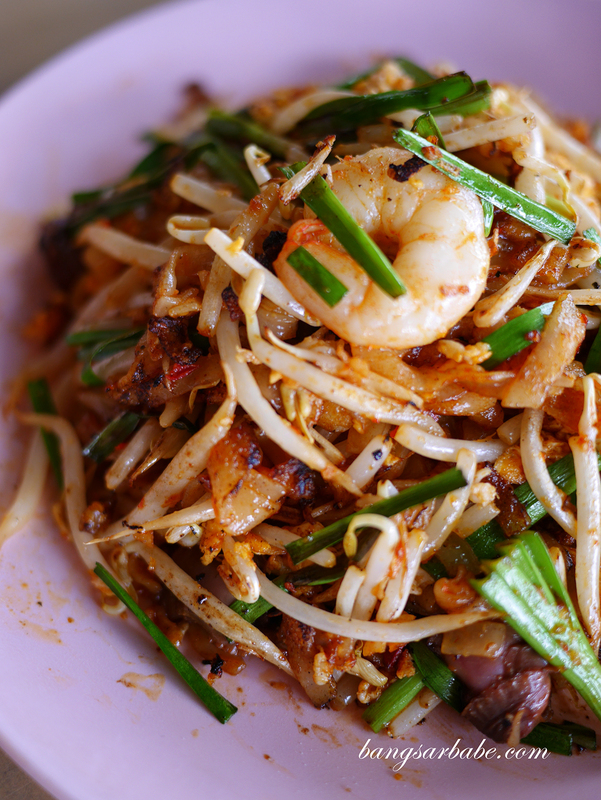 I also noticed the char kuay teow is darker compared to their previous version and I personally like it this way. 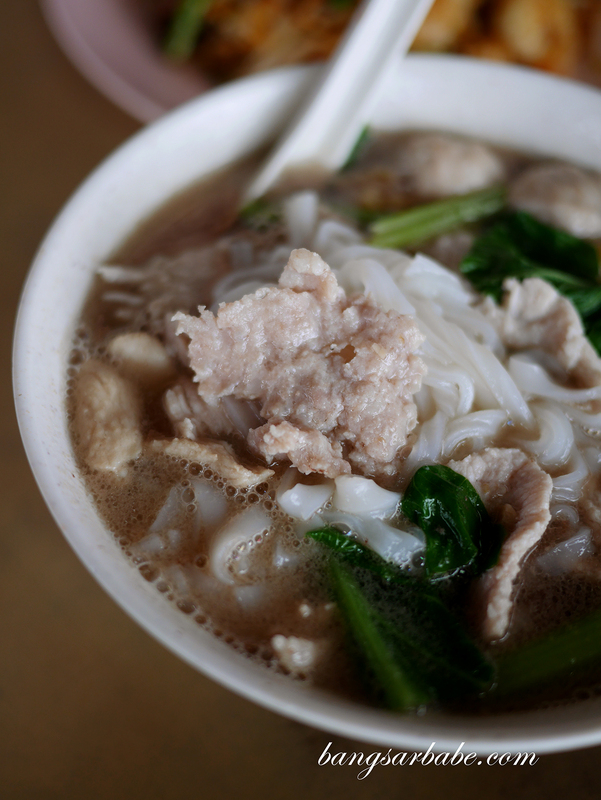 Skip the Penang pork noodles (RM5 – small) from the stall at the end of the food court. Jien and I ordered it just to try and we weren’t impressed. There wasn’t much sweetness in the broth but they were generous with the lard. I picked out at least five large and crispy chunks of them. 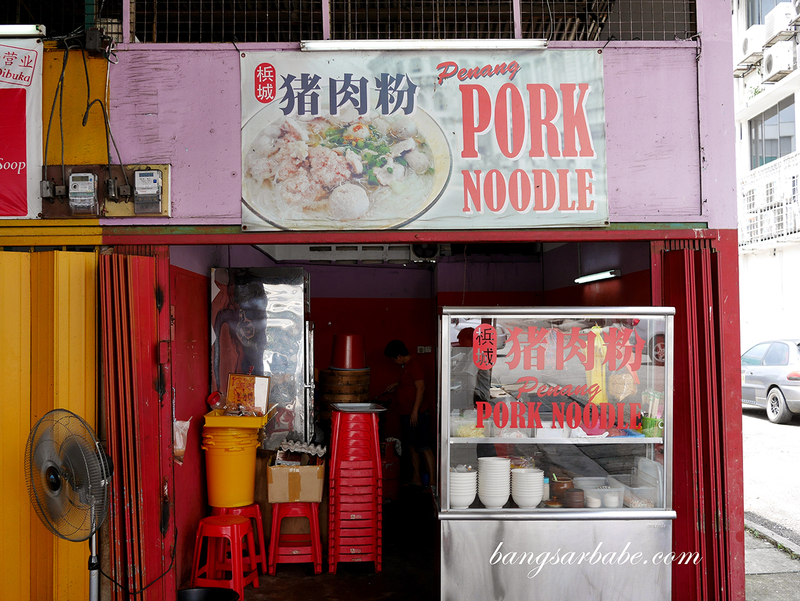 Verdict: One of the better pan mee I’ve eaten.